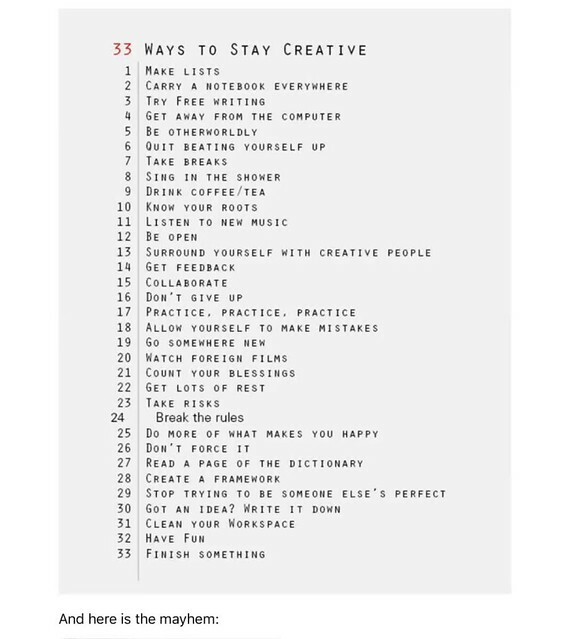 My friend, Terry, wrote a blog post about this list of Ways to Stay Creative and then did a bit of a hacking remix on it, and then put out the call to others to remix/hack it, too. I made the text tumble into itself, saving the phrases “Stay Creative” and “And here is the mayhem” as anchor points. Thanks for the shoutoutski. I knew you would be up for mayhem. Antispamiultraviolence: The box had stencilled on it, “EQUIP RAD”. Talk about an attractive nuisance. The class immediately began looking for a prybar and a hammer. Box mayhem was a-comin’.